Stop paying lip service to “being family.” This can be viewed by many teams as code for being expected to give their all without getting their fair share. It may reflect a boundary issue between employees and management. It’s best to have a clear delineation of what is expected and what the boundaries are, which makes employees feel more comfortable and respected. As a part of my series about about how leaders can create a “fantastic work culture”, I had the pleasure of interviewing Kate Lerman, the owner and founder of Chicago Vintage Weddings. With an extensive background in hospitality, she founded her company in 2012 based on the unique business model of providing both wedding planning services and event rentals. Since its inception, the company has grown from a home-based business to a leader in the Chicago event industry; after purchasing and renovating a building in 2018, she moved the Chicago Vintage Weddings to the new location housing offices, warehouse space and a small event venue. Lerman enjoys bonding with her team and considers herself lucky to be able to work with talented individuals who are as passionate about cultivating beautiful events as she is. 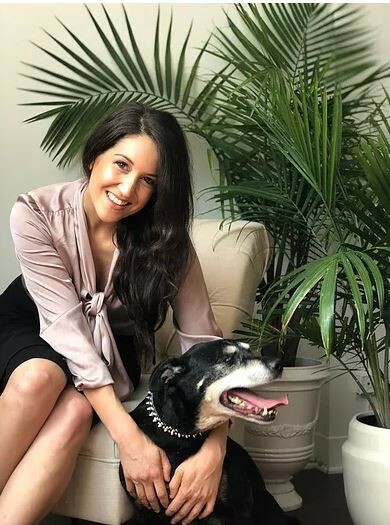 She uses the business as a platform to promote sustainable event practices and to support animal rescue. In her free time, she enjoys spending time outdoors with her dogs, checking out new restaurants and breweries, watching classic movies, and feebly attempting to cook. While my work experiences since I was a teen were in hospitality, I had gone back to school to complete my undergraduate degree after taking a few years off to work and I was planning to go to veterinary school. At the time I naively started my company as a hobby, thinking I could eventually turn it over to a manager while I was in school! 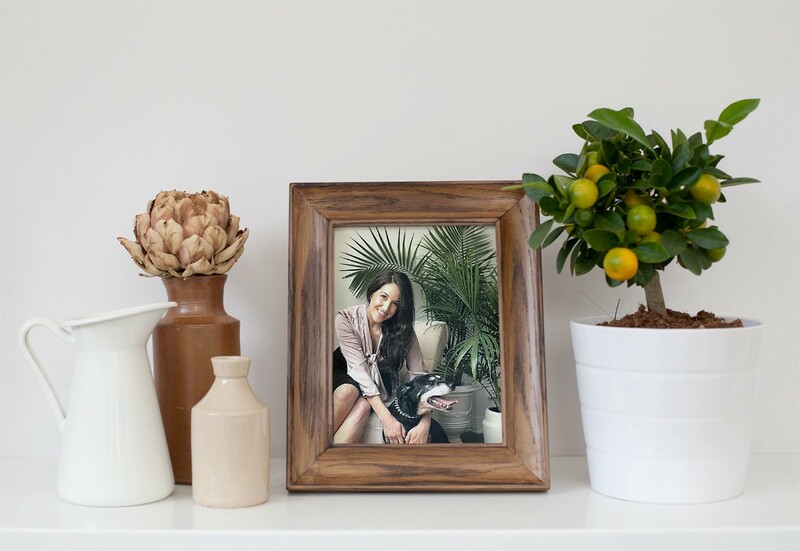 When things changed in my personal life and I realized that I truly loved being in a hospitality and design-related field, I decided not to move forward with veterinary school and to throw myself into the company full time. It has been an absolute blessing how well things have gone since then! This business model has worked out well and it hit the market at an ideal time. There are so many! I have a lot of wedding planning stories, both good and bad. In terms of a benchmark, I would say that being approached for an investment and merger was one of my most interesting and illuminating experiences. The conversations during the time the deal was being considered helped me to clarify the direction I want to take the company and — most importantly — how I want to foster a particular work culture. It made me realize the value of our particular team culture. Ultimately, being unwilling to devalue my employees was a major factor in ending negotiations. Less than a year ago we completed renovation of our new building and unveiled the new event space in it. We are finally hitting our stride as a small event venue and we are continuing to figure out just what it takes to keep this place running like a well-oiled machine. As a next step, we are currently in talks for an investment that could expand our scale significantly. We expect to move forward on that soon and scale up our event rental collection! With that will come job creation and the growing pains that come along with it. Why is so much of the workforce so unhappy? You name it: inflexible hours, poor conditions, isolation from colleagues, harassment, underemployment, wage theft, stress, and the list goes on. I also think that the pressure to be accessible at all times via call, text email and even social media have led to a culture that does not allow employees to de-stress and truly check out. An unhappy workforce will inevitably impact company productivity and profitability. Employee health and wellbeing are likely to suffer too. If employees are not fully invested in their work, not only will they not do their jobs to their full potential but it is far more likely that there will be errors, accidents and myriad other issues. Turnover will be higher and with it will come attendance issues that make productivity stagnate. One of the best things for team morale since we renovated our new office is that we can now bring dogs to work. I bring my rescue dogs nearly every day and they are such a ray of sunshine! We work in a high stress industry and everyone on the team loves to be able to take a few minutes to decompress and play with the dogs. 1. Allow colleagues to check out: Do not expect a high level of responsiveness outside of work time. Do not text employees when they are not on duty and do not expect them to do any additional work — however minor it seems to you — such as responding to your questions or to any emails. The nature of every company and role is different, but do be as respectful as possible of time off. For example, if someone is on vacation, that person should be off-limits. 2. Stop paying lip service to “being family.” This can be viewed by many teams as code for being expected to give their all without getting their fair share. It may reflect a boundary issue between employees and management. It’s best to have a clear delineation of what is expected and what the boundaries are, which makes employees feel more comfortable and respected. 3. Leave social media alone. I am in a social industry and it is expected that my colleagues and peers will use social media to connect. However, I appreciate having some level of disconnect from my employees where social media is concerned. They have expressed to me that they also appreciate this. We may be in touch via more superficial apps like Instagram (a shared “like” here and there) but it’s best to avoid things that are more keyed into personal life, such as Facebook. Even if you are connected with your employees on social media, keep it superficial and avoid engaging. 4. Acknowledge fun milestones or designate someone who excels at this. It is remarkable the difference a birthday celebration or holiday party makes! If this isn’t your forte or you are just too busy, there is sure to be someone on your team who would appreciate being in charge of being the “morale officer” who could handle these types of things! 5. Be communicative. Do not expect employees to read your mind or to understand the organization and communication pipelines of the company. Be clear about any open door policies, the chain of command, communication practices and anything else that may be expected, then set the tone for that in your own behavior and communication. Keep things respectful even when there is criticism to share, and truly listen to and engage with any feedback you receive from your team. We need to have more of a national conversation about how to check out from work in order to avoid burnout. With all of the many ways to connect with each other, it’s difficult to truly disconnect from the office. Being respectful of boundaries and “off” time is so important. If someone is not officially working, keep contact to a minimum. As a manager, send the message that engaging with work while not officially working is discouraged! My management style has changed over the years. I used to expect too much from employees and have the mindset that they would be as invested in the company as I was as the owner. I also lacked some of the communication skills to relay my expectations for them, and I would get upset when there were misunderstandings. Now that there has been some growth,employees’ roles can be more specialized and I try to find ways for each person to be matched with the right responsibilities. I lead by example by working hard, checking in for conversations with team members and keeping a positive attitude. While I do enjoy spending time with the team, I aim to keep appropriate boundaries both inside and outside the office. My mom has the most amazing work ethic I have ever seen. When I was younger she was a nurse, and she went back to school while my brother and I were young so that she could get her law degree. During that time she also worked. She instilled a strong work ethic in me, along with the ability to recognize the value of a dollar. Even before starting Chicago Vintage Weddings, I was passionate about sustainability and animal rescue. Once of the first things I did after launching our brand was join the Chicago Green Wedding Alliance, which is a group of vendors that promotes sustainable event practices. We have been members for 6 years now and I was a board member for some time. I am also very supportive of dog rescue, working most closely with Second City Canine Rescue and One Tail at a Time. We support them by providing event rentals and hosting events. I even adopted my puppy from them after he came in to our office for a photo shoot! Another thing that is very important to me is bringing representation and equality to the wedding industry. Industry marketing can often be very focused on “traditional” aspects of weddings while overlooking so many different kinds of people. Often the marketing materials I see do not give equal representation to people of color, LGBTQ people, and cultures and weddings outside Judeo-Christian traditions. I am adamant about creating a team culture and an industry culture that recognizes all of the unique kinds of couples and families we serve. Follow the Golden Rule: treat others how you would like to be treated. I would not be as far as I have gotten in this industry without taking good care of my clients and vendors! Following this rule also means fostering a team culture where everyone feels respected and valued. If I could inspire a larger movement, I would continue promoting sustainable events and sustainable business practices. It’s so important that we act as stewards for not only future generations but for those around the world who are most impacted by climate change, even in the present day.